In addition to the time I spent at the Koei Tecmo booth at Tokyo Game Show, I also took the time to go around some of the other booths and try out games that didn't have too much of a lineup. Naturally that meant I wasn't going to test out Resident Evil, Yakuza or Sony's games, but nonetheless I did get to try out some pretty interesting niche titles. And Sonic, just to see if Sonic was actually improving. It isn't, but we'll get to that in a moment. First, though, here are a couple of the highlights from what I tried out at the show. For this demo I had the chance to set up a couple of characters, and then take on one of a number of different bosses. Naturally I picked the cute girls and picked the headless horsemen to take on, and the battle began. Tokyo Xanadu seems to be a little like an JRPG version of Monster Hunter, with some Persona aesthetics and style to support it. I don't know if there's anything more to the game than the boss battles (I went into this demo mostly blind to what the game was, other than its name), but from those battles you're looking at some pretty intense attack patterns to learn to deal with. These monsters also tend to hit hard and often, so playing a very defensive and counterattacking game seemed to be necessary. 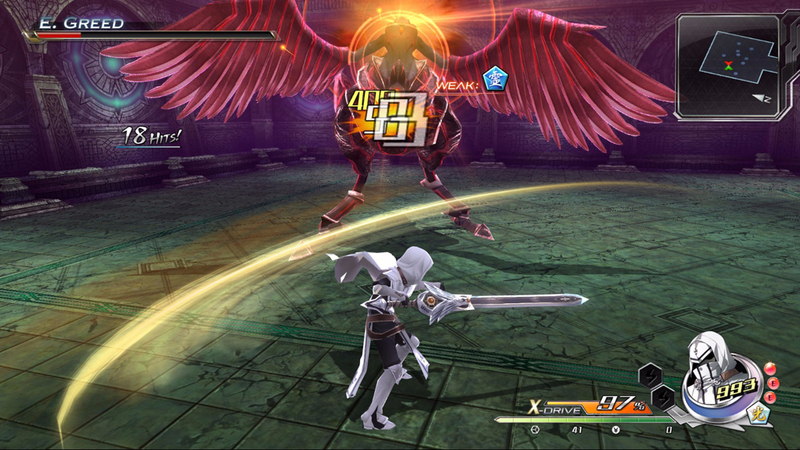 Characters also have some stylish attacks, but those require good timing, as there's some powering up to do first. Everything looks absolutely gorgeous, with the fireworks being bright and colourful, and character models looking great and animating smoothly. I got no sense of the narrative from the demo, unfortunately, and I couldn't test more than the one boss to see if there was much of a difference between how they play. That being said I've got a lot of faith in Falcom. Currently we've only got the PlayStation Vita original coming out in the west, with Aksys yet to announce a localisation of the PS4 eX+ version. I really hope that announcement is forthcoming, because based on that demo I do think the game is better suited to the big screen experience. D3 is the world's finest purveyor in trash B-grade nonsense, and as we've seen with the likes of Onechanbara and Earth Defence Force, that kind of stuff can be really good fun. Indeed, as throwbacks to exploitation and B-grade cinema of the 60s through 90s, the aesthetics and attitude of a lot of D3's games are nostalgic and fundamentally interesting, giving us a look at an art genre that many would refuse to believe is even art. Related reading: Why we should be celebrating our B-grade games. 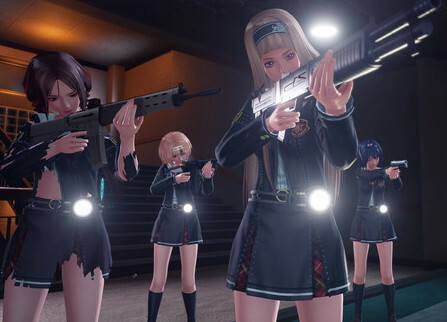 School Girl Zombie Hunter is a near dictionary definition of B-grade exploitation, and from my couple of minutes with it at TGS, I'm utterly sold on it. The game really doesn't go much further with its gameplay than "grab a gun and mow down hordes of zombies on the way to an objective", at least, at the start, and the zombies are of the slow moving, dumb variety. Shooting them makes them explode into a gory mess, and the animation and art design is the cheap kind of aesthetics that is no doubt a consequence of the game's budget, but it's appealing as it also looks like sets from those exploitation films. The game's great difference is that if your school girl is hit by a zombie's attack, she isn't eaten, and neither is she turned into a zombie. No, it's far worse than that. With each hit her uniform is torn a little more. After five or six hits she's stripped right down to her underwear. Lucky for her she was wearing really nice underwear that day, I guess. What happens next I have no idea, as time ran out. I suspect that's when the game over screen starts to get close. I'm pretty sure the underwear is zombie attack proof, but there's a lifebar for the girls that I assume starts to get drained at that point. This game will likely be banned from Australia even if it picks up a western publisher. Nonetheless it might be one worth considering an import for, particularly if you were a fan of Onechanbara and other similar games. School Girl Zombie Hunter plays like B-grade trash, and it is wonderful for it. D3's other major TGS game appears to have a far loftier intent than School Girl Zombie Hunters. Idol Death Game TV is an experience clearly in the Virtue's Last Reward or Danganronpa vein, and while a six minute demo at TGS is nowhere near long enough to get a sense of how the game plays, it's intriguing nonetheless. 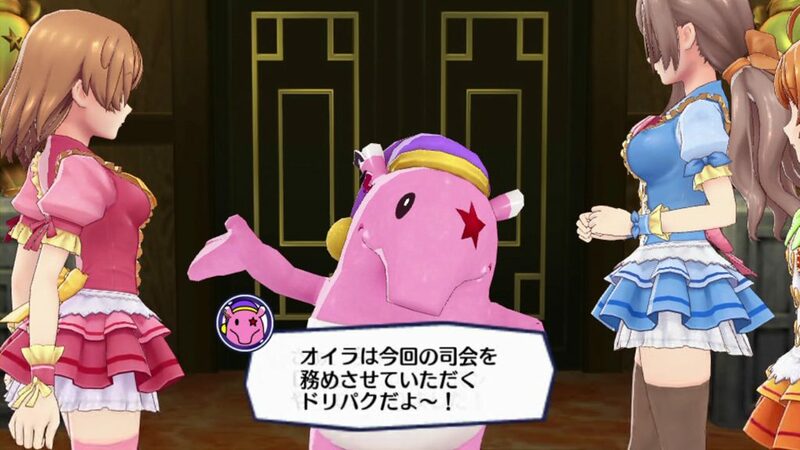 In Idol Death Game you play as one of a group of aspiring idols, that find themselves at the mercy of a pink elephant-thing mascot, who is very inspired by Dangaronpa's Monokuma. The girls are forced into a series of activities that result in the deaths of underperformers until there is only one left. I wish I could say more about the game than that, but that's all I know so far. What is obvious from playing the demo is that it's a brightly colourful game, in a very creepy sense of the word. It's like the world of idoldom taken to the extreme, and I'd be willing to be that that is the game's point; it looks to be a running commentary of the hyper-competitive nature of idols and the voyeurism that fans indulge in watching it all pan out. From the set-up there appears to be quite the in-depth story to it, too. What is of concern is whether this game is deemed worth localising, given that it plays off a very Japanese concept, in idols, which isn't anywhere near as relevant in western markets. It might be that the links to Danganronpa and Virtue's Last Reward are extensive enough that a publisher picks it up anyway, and I hope it does, because there is every chance that Idol Death Game TV will turn out to be a sadistic, but greatly entertaining little game, with a decent and worthwhile point to make for that. Sonic Toon is just awful. I walked away from the demo fully convinced that if I ever play this game again, things are going to get broken in frustration. The basic idea is the standard Sonic stuff; run around really fast, avoid obstacles, reach the end of the level. This time around Sonic and his friends are able to adopt an "ice" or "fire" profile, which allows them to navigate past obstacles that are otherwise impenetrable. 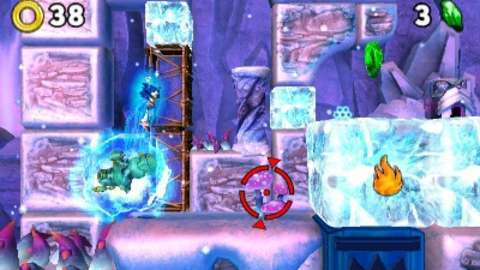 Fire melts an ice block so Sonic can continue on, for example. The problem is that the levels are completely arbitrarily designed. There I am running around this lush green field and there's a giant block of ice just sitting there in the way. Soon after I'm zipping around and I hit a bumper, which sends me into a 15-second whirl as Sonic gets propelled, blasted, and bumped through a chunk of the level without any input from me. I hate games that take control away from the player like that. Those sequences are unnecessary since the actual game doesn't change whatsoever if you remove the section entirely. Related reading: For a review of another of the 3DS Sonic games, check out Clark's take on Sonic Generations. There's a moderate sense of speed to the action, and you'd expect no less from Sonic. But the game is so thoroughly rooted in an approach to platformers that the industry moved past a couple of decades ago that I can't see this doing anything to rescue Sonic's ever-flagging reputation. Sega might as well give up on the hedgehog and just embrace Hatsune Miku as its leading mascot.